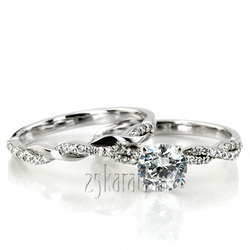 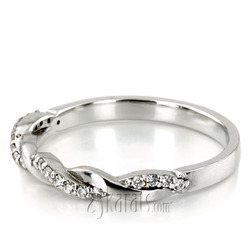 A contemporary twisted design petite diamond band. 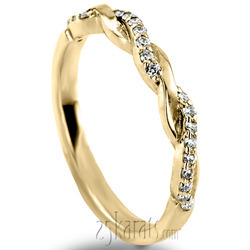 This band makes an eye-catching pair with its engagement ring, but can also be paired with your classic solitaire engagement ring. 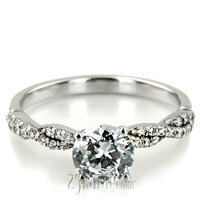 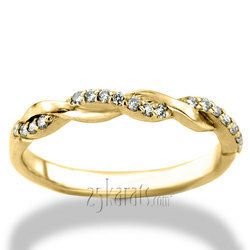 This diamond wedding band is set with FG VS2/SI1 diamonds, and it is available in 14k, 18k gold, platinum and palladium.